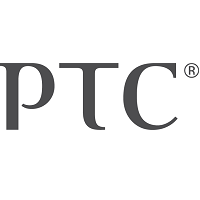 PTC Inc. is one of the largest and fastest growing technology companies in the world. 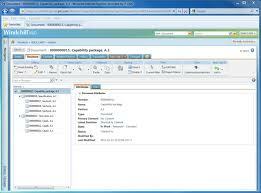 It focuses on providing online project collaboration software to companies in the manufacturing industry. PTC creates solutions for Computer Aided Design (CAD), Product Lifecycle Management (PLM), Supply Chain Management (SCM), and Service Lifecycle Management (SLM). All of these resources help clients to maximize the role of data in their workplace. Windchill is a web-based PLM software that encourages communications by incorporating virtual work space for teams inside and outside the office. This project collaboration software lets employees share information on product development and project management without ever losing efficiency or productivity. Due to its web-based interface, workers can access the information they need at any time and from anywhere with internet connection. This software platform allows team members to monitor and improve product quality, manage a variety of product structures, understand product costs, and more. Users can personalize Windchill to only display the information relevant to them without costly customization fees. PTC offers many training resources including the PlanetPTC Community online forum, free online tutorials, and the PTC University with role-based courses. Cochlear Limited provides hearing implants to hundreds of thousands of people worldwide every year. Since launching its first multi-electrode implant system more than 30 years ago, this company has become a world leader in implantable solutions with operations in over 90 countries. To support its strategic growth agenda, Cochlear Limited need to implement a more efficient and paperless process to help advance product development and processing. Based on the company’s past success using another one of PTC’s software’s for computer-aided design, Cochlear Limited choose Windchill as its PLM solution. Since implementation, Windchill has managed all forms of product data, including mechanical, electrical and software as well as prevented costly production design errors. Cochlear Limited now has a faster, more efficient product review process and greeater speed in release of product information from design to manufacturing. The manufacturers who use PLC Windchill Projectlink benefit from increased access to vital information. This technology helps companies stay ahead of the curve in a rapidly evolving industry. Compare Windchill Projectlink with the other project management solutions in our Project Management SmartAdvisor tool. Learn everything you need to know about PTC Windchill Projectlink. Our experts will reach out to you shortly.